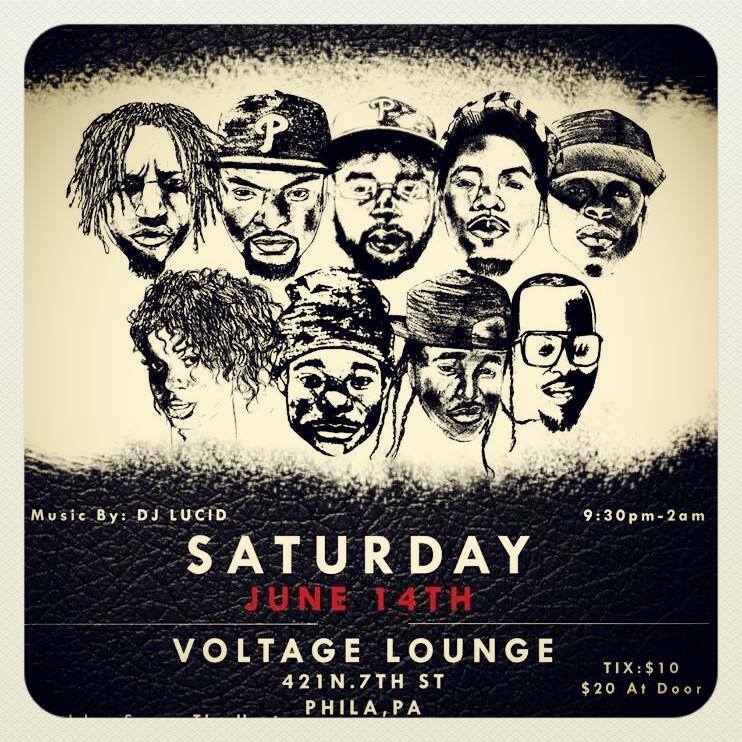 Hip-Hop & R&B Concert hosted by ‘Sonny The Host’ Saturday, June 14, 2014 at Voltage Lounge 421 N. 7th Street from 9p.m. – 2 a.m. Phila, PA. Tickets are $10.00 in advance and $20.00 at the door. DJ LUCID will be on the 1’s and 2’s featuring some of Phillys new up and coming talent Jon Doe, Dell Peezie, Clout Major, Corey Wims, EEsh Ingram, Brian Broadnaux Jr. and Semore Bucks.